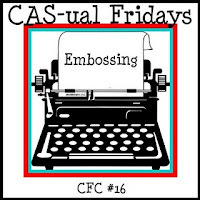 Casual Fridays embossing challenge. So I used the colours and embossed flowers from Embellish and kept my design clean and simple for Casual Fridays! 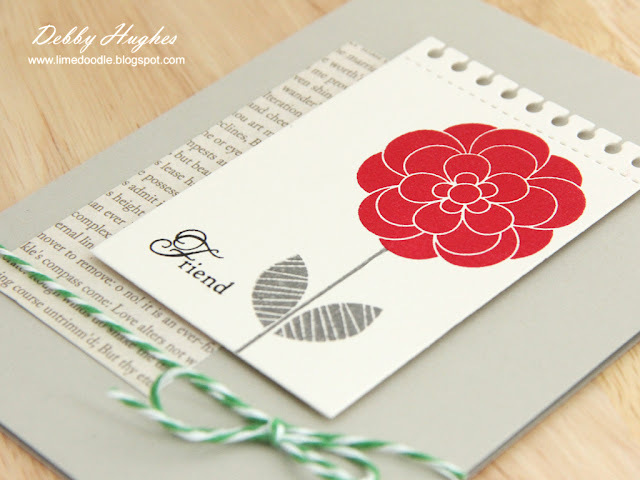 I used my new spiral notebook page again for my focal point of a flower from Papertrey Ink’s everyday classics stamped in cranberry pigment ink and then clear embossed. 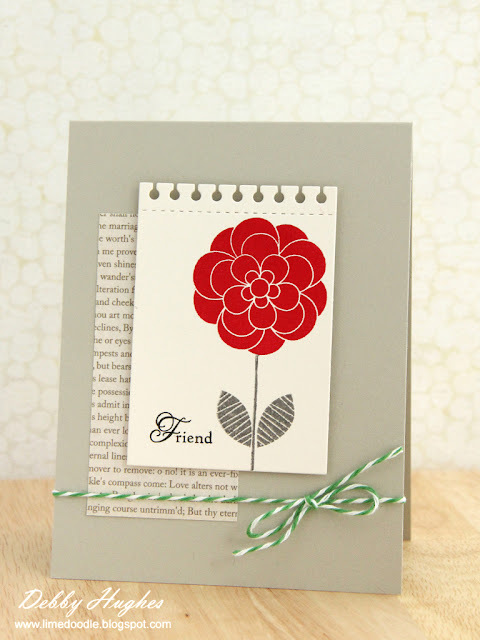 This was paired with the stem from flower fusion 4 which I stamped in grey. The splash of green came from some lovely peapod twine from The Twinery. 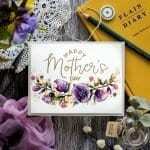 All on a sahara sand card base with a bit of text paper to add interest. The flower embossed beautifully and is such a lovely deep red. In this photo I tried to catch the light so you can see the embossing better. I’m also going to put this in the Papercrafts gallery this month – the theme is girlfriends. And one final one, A Passion for Papertrey are having an anything goes challenge. 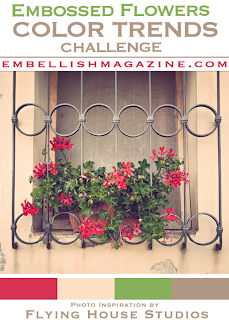 I think that’s it for me today, but call by tomorrow for my CASE study challenge post! Clean, simple and gorgeous, Debby! Awesome CAS card. You did a great job incorporating the challenge colors. 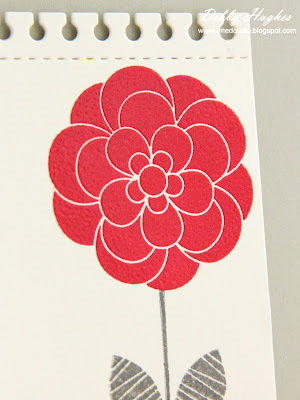 I love the “pop” created from the Red flower. This is gorgeous! Totally love that big, bold flower with the subtle colors behind it!! Great job!! The spiral notebook die appeals to me very much (I need to get that one). Love the text behind it too. the twine with the red flower complement each other. Love the simplicity of your card. A spectacular card, love the bold bloom and the touch of green twine. Thanks for joining us at CAS-ual Fridays! Pretty! Love that bright red and the unexpected green twine! Thanks for playing along with us at CAS-ual Fridays! Wow, this is fantastic! The colors are wonderful and I love that stem with that flower! !